Marie Davidová (MArch, Ph.D.) and her partners have been kind enough to share the project TreeHuggers: The Eco-Systemic Prototypical Urban Interventions for DIY with the Rhino community. TreeHuggers are responsive wood insect hotels designed to support biodiversity in urban environments. Thanks to the solid wooden panels’ gradient of response, TreeHuggers offer separate homes to diverse species of different bioclimatic preferences. The gradient is based on the original position within the tree trunk when cut in tangential section and the orientation to all world axis. Besides its historical context, TreeHuggers represent first responsive wood dwellings built in recent times. Two prototypes have been built: one in Prague, Czechia, within the project COLridor (Davidová, 2017) and the second in Nicosia, Cyprus, through a workshop at the 6th eCAADe RIS (Kontovourkis, 2018). Since the Central European and Mediterranean climates represent different climate moderation preferences, the TreeHuggerCZ and the TreeHuggerCY use different panel orientation. So, they warp in opposite directions. 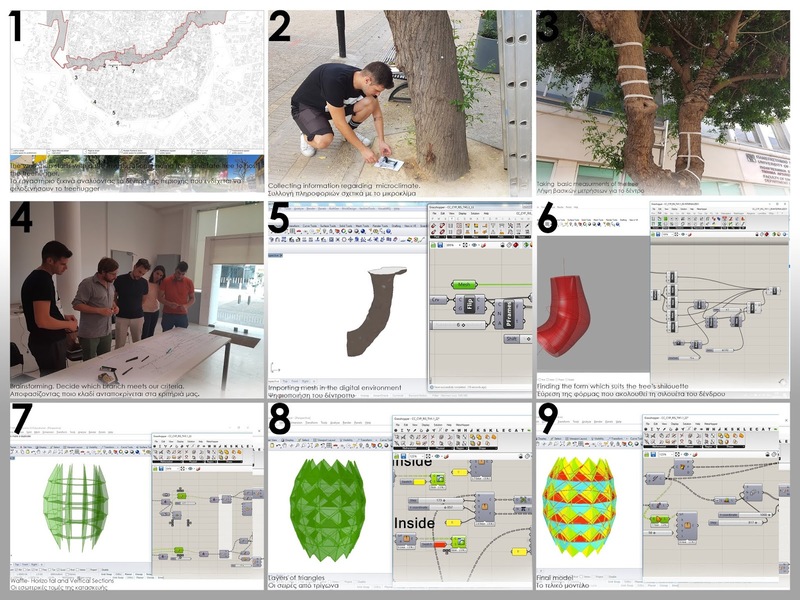 For more public interaction, as well as a larger impact on the environment, parametric Grasshopper codes and recipes are online for DIY locally adapted iterations. 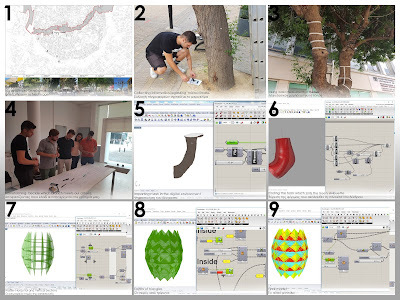 For more information, recipes, and the Grasshopper code go to the Systemic Approach to Architectural Performance website, 6th eCAADe RIS and RSD7 articles (Davidová, 2016; Davidová & Prokop, 2018; Davidová & Zímová, 2017). Please note, this project is provided under Creative Commons Non-Commercial Use Licence (Creative Commons, 2017).